It is the great duty of all Christians to put off anger. 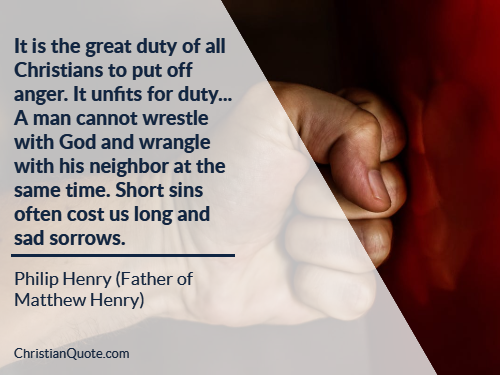 It unfits for duty… A man cannot wrestle with God and wrangle with his neighbor at the same time. Short sins often cost us long and sad sorrows.